The leaders of 25 newsrooms and media advocacy groups are urging the U.S. government to secure Washington Post reporter Jason Rezaian's release from an Iranian prison. In a letter to Secretary of State John Kerry on Friday night, the executives and editors acknowledged the government's past efforts on behalf of Rezaian, who has been detained since July 2014. "On behalf of our organizations and journalists around the world, we are writing to urge you to maintain your efforts to forge a path to that release," they wrote. The letter was signed by Associated Press executive editor Kathleen Carroll, Reuters editor in chief Stephen Adler, CNN president Jeff Zucker, New York Times editor Dean Baquet, and Bloomberg editor John Micklethwait, among others. NBC, ABC, CBS, BuzzFeed, ProPublica, The Los Angeles Times, Politico, PBS "NewsHour," NPR, The New Yorker, and Dallas Morning News were some of the other news organizations represented by the letter. "We depend on the United States and other democratic countries to stand behind the values that Jason represents," the newsroom leaders wrote. "Independent journalism is recognized as a fundamental human right. 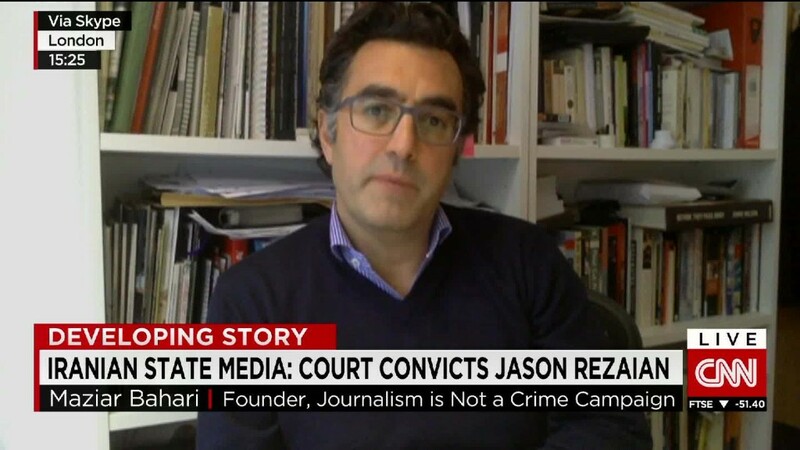 Iran should recognize this, too, and free Jason. The United States has considerable leverage with Iran right now to press that point, and we urge you to continue to do so." Government officials have pressed Rezaian's case during negotiations about Iran's nuclear program. John Kirby, a State Department spokesman, confirmed that "we have received the letter, and Secretary Kerry will respond as appropriate." "As‎ we have said repeatedly, we believe that our citizens should be returned to the United States to be with their families as soon as they possibly can," Kirby said. "As Secretary Kerry has noted many times, we are working very hard to get our citizens back home, and we call again on Iran to release them."